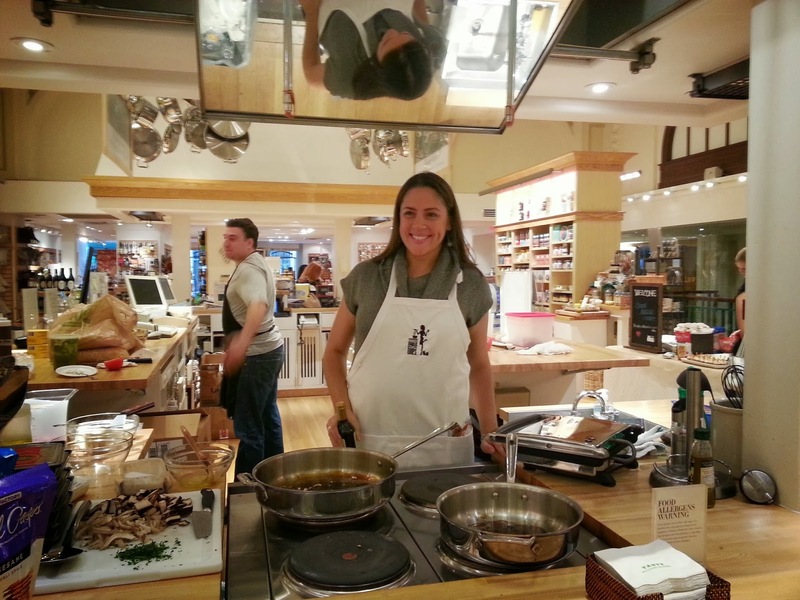 Mamacado: Eat, Write Retreat...at Williams Sonoma! 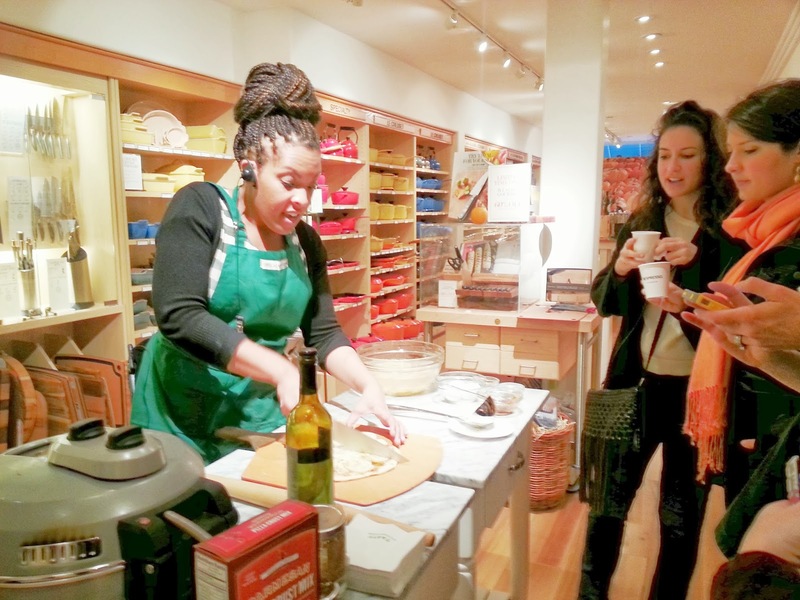 Eat, Write Retreat...at Williams Sonoma! Last week I posted about a fun MomMixer event I went to in Philadelphia where I met other mama bloggers, found out about new holiday products and got some wonderful swag! I also attended another blogging event that was the launch party for the Eat, Write, Retreat 2014 conference. 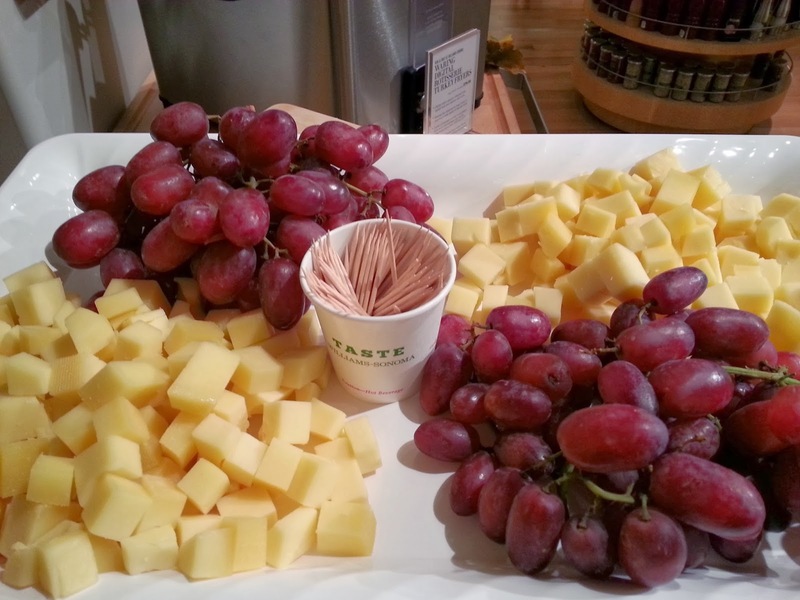 The launch party was at Williams Sonoma in Center City Philadelphia and again, oh what fun I had! This time I met a number of food bloggers who were wonderful to meet and talk with about their cool projects. 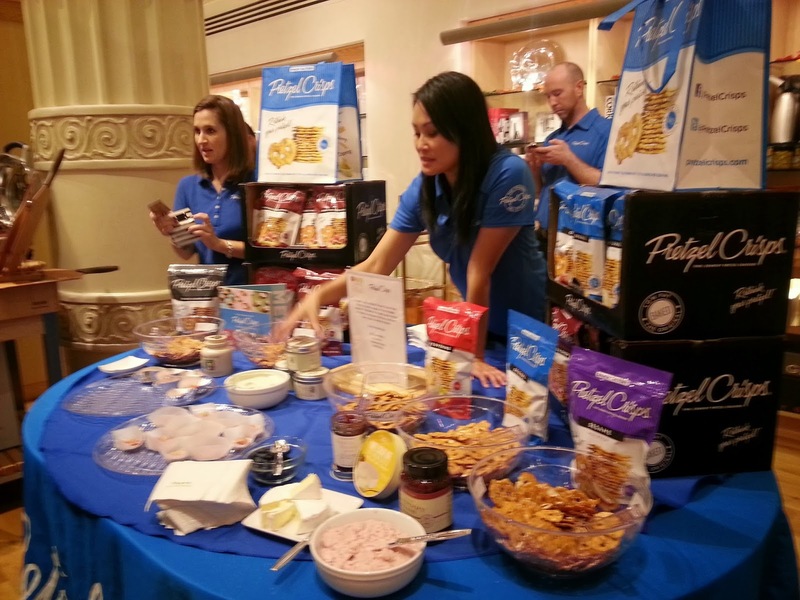 We not only had a chance to socialize in the fun Williams Sonoma atmosphere, but we also got to EAT some tasty food and WIN some great prizes! 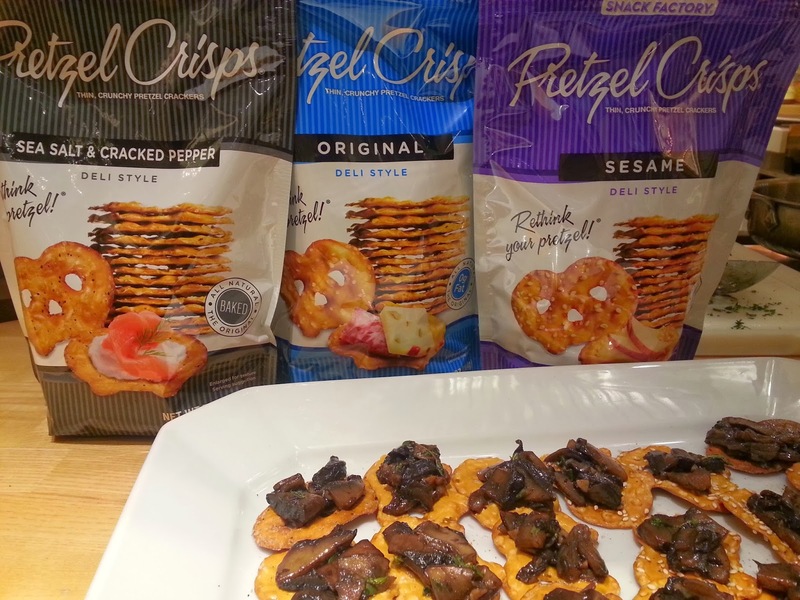 Then Linda from Giggles, Gobbles and Gulps showed us how to make balsamic mushroom bruschetta on PretzelCrisps. Very tasty! 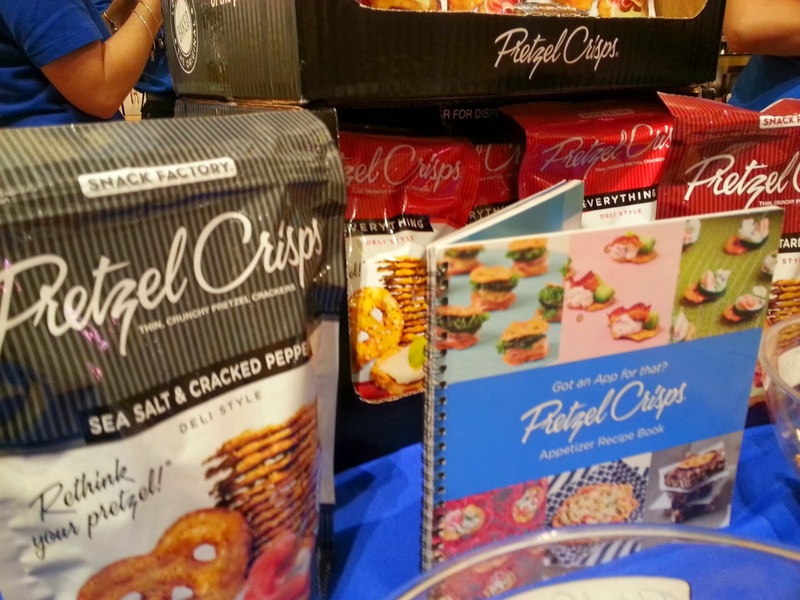 PretzelCrisps even has an awesome appetizer recipe book - a great idea for holiday apps! Now this obviously wasn't a food allergy focused event, but I of course always think about food allergies even if Little Guy isn't with me at the event. I love that PretzelCrisps are clearly labeled with the "made in a facility" with statement. Even though Little Guy can't eat these, I appreciate that they clearly label them for allergens. 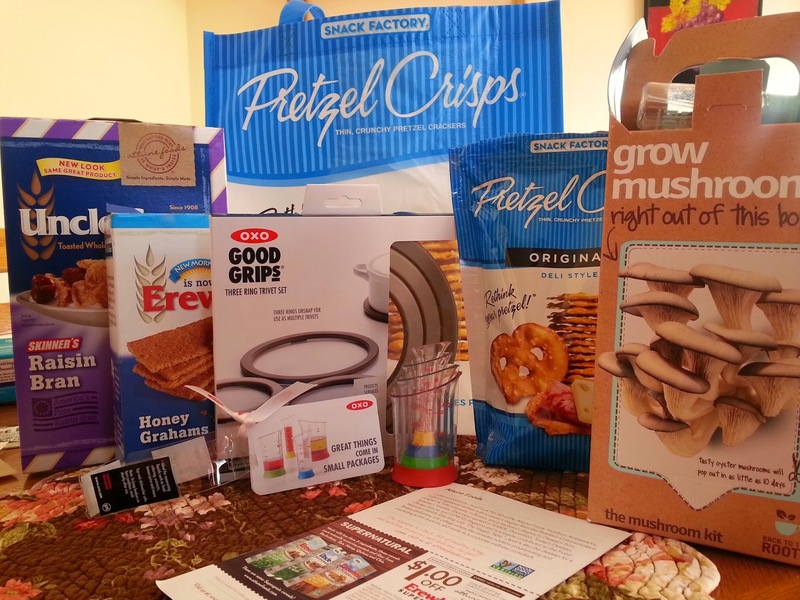 You can even see the "made in a facility" statement on the PretzelCrips website. As for the other tasty food, we also got to try a few different kinds of yummy pizza made with Williams Sonoma pizza crust mix. And we had fun tasting gourmet grilled cheese sandwiches and pesto bruschetta from Philly's gourmet grilled cheese truck, Say Cheese. 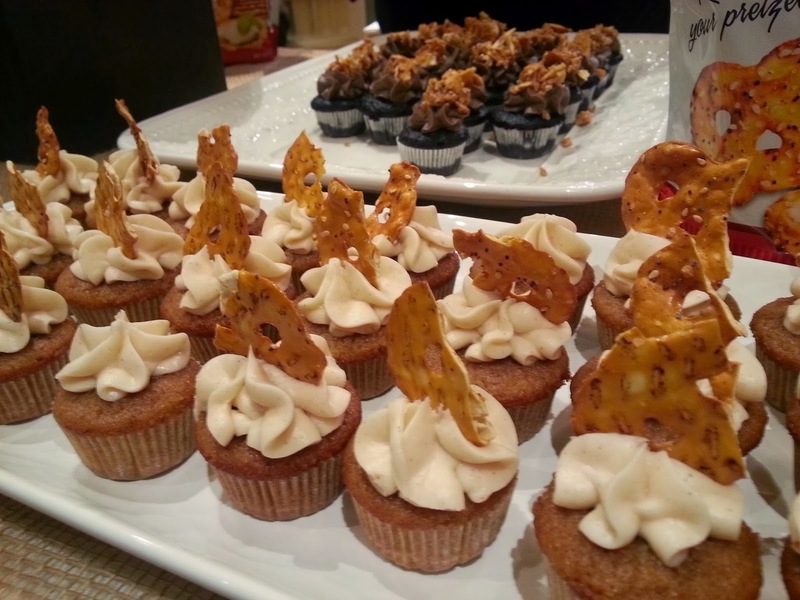 To satisfy a sweet tooth, the baker from South Avenue Sweets baked a variety of YUMMY cupcakes with PretzelCrisp topping - a very creative way to use them! 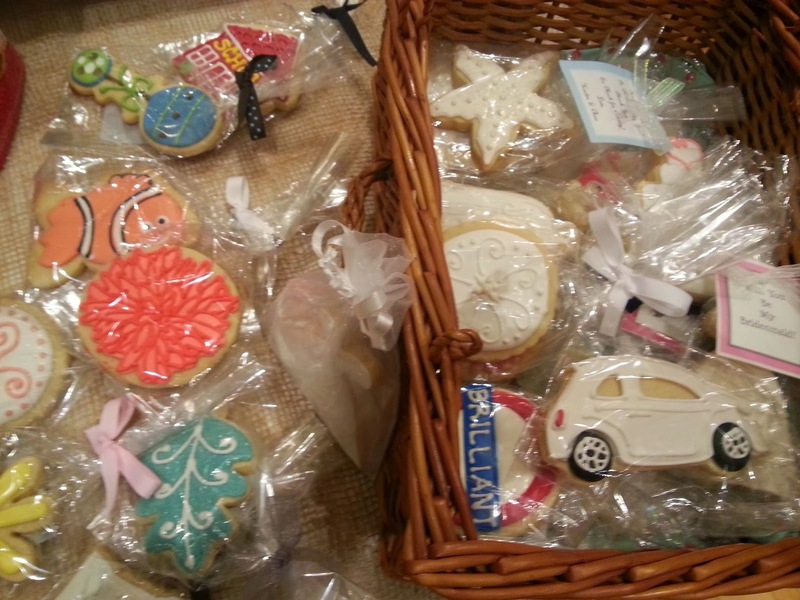 She also displayed her cute cookies, decorated perfectly for any occasion. 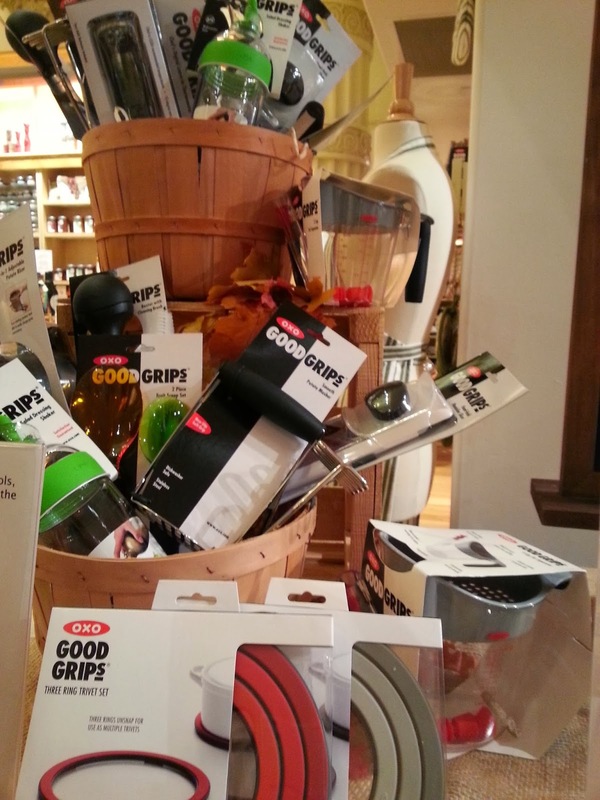 One of my favorite companies for fun, useful and qualify kitchen tools was also there...Oxo. I learned that the OXO Peeler I use SO much in my kitchen was actually their first product ever! It's the peeler I use for my butternut squash secret and for just about anything else that needs peeled like carrots, potatoes, etc. Look at all these awesome Oxo products! And look at this great swag! Checkout that cute Mini Measuring Beaker Set from Oxo right in the middle of the photo. Can't wait to use these when cooking with Little Guy. Thanks to Casey and Robyn for hosting a great event! Thanks Diane! Yes, it was fun in every way!